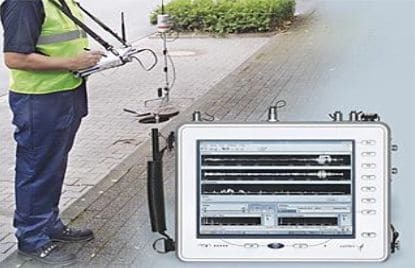 The SeCorr® 300 is Sewerin’s new fully digital water leak correlator offering unprecedented performance in finding water leaks even on plastic pipes and trunk mains. 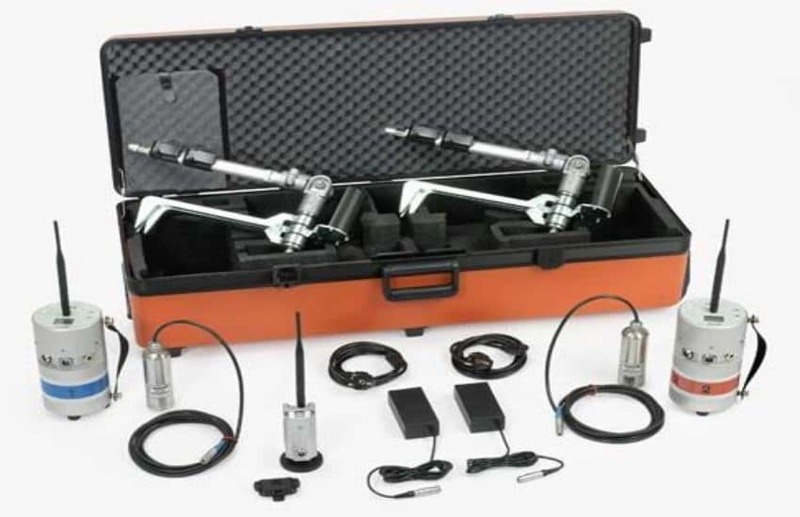 The fully digital signal processing combined with the advanced microphones largely eliminate the limitations experienced with conventional analogue correlators. Notebooks, Toughbooks and desktop PCs can be used to analyse the measurements. The SeCorr® 300 correlator offers you the best chance of finding those hard to locate water leaks, even under the most difficult of conditions where conventional correlators have reached the end of their detection limits. 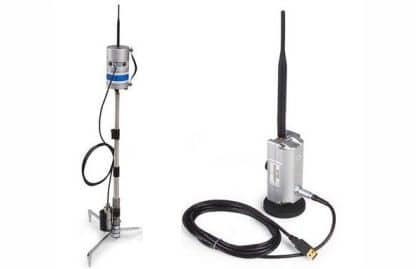 The radio transmitter RT 300 is mounted on a tripod during correlation providing optimum radio performance. If the radio transmitter is out of transmission range of the base station the water leak noise is stored in the transmitter’s memory and transmitted to the receiver as soon as the digital radio connection is re-established. The user can listen to the water leak noise “live” through headphones, allowing them to assess the volume of the noise; frequency filters can be set directly at source to render the sound clearest for your ears and the particular leak. Using the filters it is possible to listen only to the frequencies where the water leak noise is clearest for you. The RX 300 receiver receives signals from the transmitter and relays them to the PC via a USB cable. The cable can be connected to any computer with a USB port. The receiver is attached to a mounting clip on the notebook’s carrying strap for mobile use. The RX 300 has a magnet on the base allowing it to be attached to a vehicle’s roof – no need for the installation of a roof antenna. An LED indicates the status of the RX 300.